I have a rescue ig that came into my shelter last Friday. 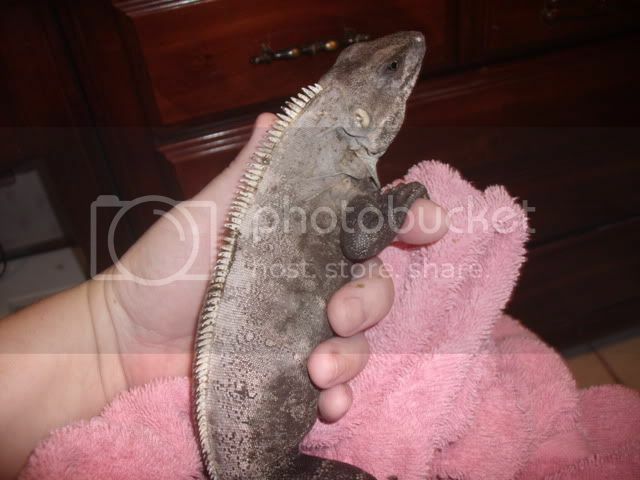 Its a young Mexican spiny tail of some kind, about 2-3 feet long. 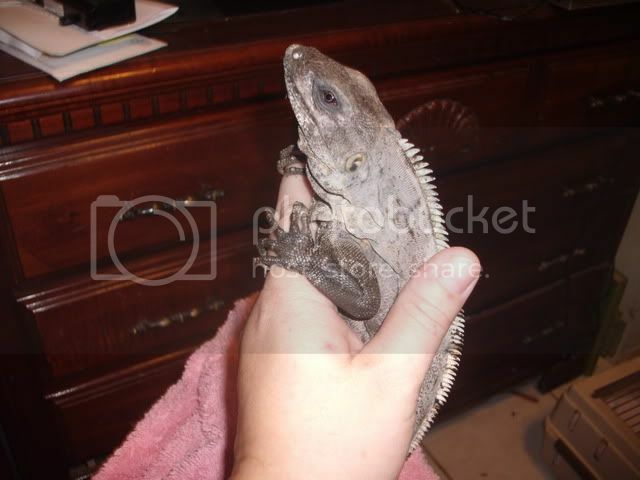 It was found roaming a parking lot and was covered in oil and tar. He is thin, but is better hydrated now. I have a great home lined up for him, but in the meantime, I am having a hard time getting him to eat. He will only eat silkworms and NO greens! I know that feeders are not good for green igs. Can anyone advise me on this ig? I put the worms in his salad and if they wiggle down into it, he will not eat them. Any ideas? Are these particular igs more insectivore when they are young?